When he's framed for robbery, a reformed thief takes off to find the real culprit. Farraday questions Blackie about the theft of the Monterey diamond, which disappeared in California one week earlier, Blackie allays the inspector's suspicions and proceeds to the train station with Runt. At the station, Blackie receives a telegram from his friend, millionaire Arthur Manleder, asking for his help and directing him to remove $60,000 from his wall safe and deliver it to California so that Manleder can reclaim the Monterey diamond. As Blackie opens the safe, Farraday arrives at Manleders house and arrests him for burglary. On the way to police headquarters, Blackie and Runt escape and take refuge in a costume shop owned by their old friend, Jumbo Madigan. 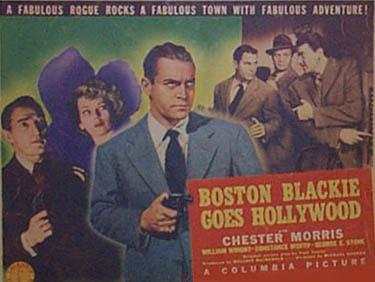 Blackie disguises himself as elderly professor Stratton and dresses Runt as the professor's young nephew, Junior, Jumbo tells him that ex-convict Slick Barton is now operating from California. 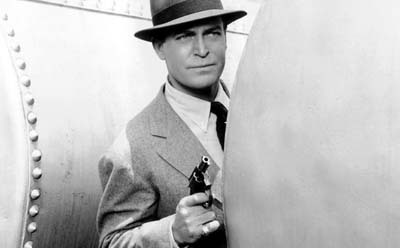 Suspecting that Slick is involved in the diamond theft, Blackie and Runt board the next plane to California and are followed by Farraday and Mathews. Suspicious of Manleders friends, Blackie doesn't alert Manleder of his arrival but instead checks into an adjoining room from which he eavesdrops on Manleder's conversation with his companions, Whipper, Steve and Gloria Lane. When Blackie overhears Manleder's friends offering to return the diamond for $60,000, he deduces that they plan to use Manleder's money to break up the gem for sale. Blackie gives Runt the $60,000 to hold but Whipper and Steve get it away from him. 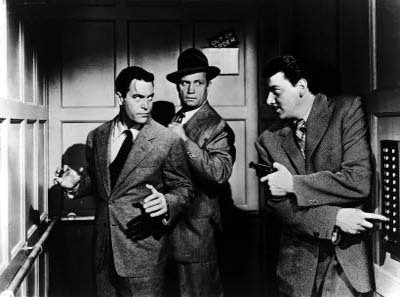 At Gloria's apartment Blackie and Runt are greeted by Whipper and Steve, Slick enters and pulls a gun. After securing the money, he locks Gloria in the closet, ties up the others and escapes out the fire escape with Farraday and Blackie hot on his heels. As reformed safecracker Boston Blackie and his sidekick The Runt pack their suitcases for a vacation in Florida, a stealthy figure slinks up the fire escape and enters Blackie's apartment. 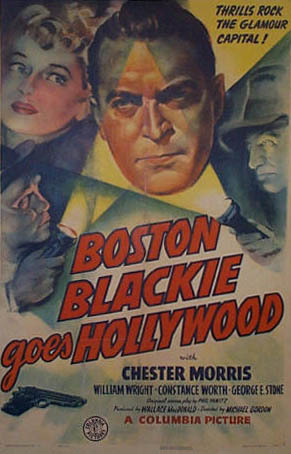 Upon hearing footsteps in his living room, Blackie locks the intruder in a windowless room and then calls the police. When Sgt. Mathews arrives, however, the room is empty. Noticing a foot dangling from the bottom of his chimney, Blackie sets the shoe on fire, sending the intruder, police inspector Farraday, who is Mathews' boss and Blackie's nemesis, screaming into the fireplace. When Farraday questions Blackie about the theft of the Monterey diamond, which disappeared in California one week earlier, Blackie allays the inspector's suspicions and proceeds to the train station with Runt. At the station, Blackie receives a telegram from his friend, millionaire Arthur Manleder, asking for his help and directing him Manleder's house that night. Mathews, whom Farraday has dispatched to watch Blackie, follows him to Manleder's house and watches as he climbs in a window of the deserted house. Soon after, Manleder phones from California and instructs Blackie to remove $60,000 from his wall safe and deliver it to California so that Manleder can reclaim the Monterey diamond. As Blackie opens the safe, Farraday, alerted by Mathews, arrives and arrests him for burglary. On the way to police headquarters, Blackie and Runt escape and take refuge in a costume shop owned by their old friend, Jumbo Madigan. After Blackie disguises himself as elderly professor Stratton and dresses Runt as the professor's young nephew, Junior, Jumbo tells him that ex-convict Slick Barton is now operating from California. Suspecting that Slick is involved in the diamond theft, Blackie and Runt board the next plane to California and are followed by Farraday and Mathews, who hide in the baggage compartment. Sensing that he is being followed, Blackie dumps some ants from "Junior's" toy ant farm into the baggage compartment. After the plane lands, Blackie and Runt, still in disguise, proceed to Manleder's hotel. Suspicious, Blackie doesn't alert Manleder of his arrival but instead checks into an adjoining room from which he eavesdrops on Manleder's conversation with his companions, Whipper, Steve and Gloria Lane. When Blackie overhears Manleder's friends offering to return the diamond for $60,000, he deduces that they plan to use Manleder's money to break up the gem for sale. Still dressed as the professor, Blackie knocks on Manleder's door, and when Manleder explains that after picking up the diamond for its owner, his friend Mrs. Moore, the gem mysteriously disappeared and that Whipper and Steve have generously offered to help retrieve it for $60,000. Blackie refuses to turn over the money and warns Manleder that his helpful companions are involved in the robbery with Slick. Seeing through Blackie's disguise, Steve alerts Slick, who orders him to find Runt. After locating Runt in the hotel lobby, Steve and Whipper force him to turn over the $60,000. Soon after, Farraday arrives at Manleder's suite and summons the Los Angeles police to arrest Blackie, but Blackie pickpockets the inspector's badge and when the police appear, produces the badge and identifies Farraday as the criminal. After the police take Farraday and Mathews into custody, Blackie instructs Runt to impersonate Steve and call Gloria and instruct her to lure Blackie and Manleder to her apartment. When Gloria sees Runt removing his handkerchief from the receiver of the phone in the hotel lobby, however, she senses a ruse and sends a message to the police, informing them that Blackie can be found at her apartment. At Gloria's apartment Blackie and Runt are greeted by Whipper and Steve, who are in possession of the $60,000. Soon after, the doorbell rings and Slick enters and pulls a gun. After securing the money, he locks Gloria in the closet, ties up the others and escapes out the fire escape. Summoned by Gloria's message, Farraday then arrives at the apartment and frees them, but Blackie tricks him again and locks him and Gloria and her friends in the closet. Climbing onto the fire-escape, Blackie chases Slick onto the roof. Slick then climbs down the elevator shaft and enters the car in which Mathews is a passenger. Meanwhile, Farraday and the others escape from the closet. As Slick emerges from the elevator, Blackie chases him down the stairway. After knocking Slick unconscious, Blackie turns over the both the money and the thief to Mathews. Suddenly regaining consciousness, Slick pulls a gun just as the elevator door opens, revealing Manleder, who disarms him. Blackie then jumps into the elevator, and by the time it reaches the lobby, Slick is once again unconscious.